In what’s become something of a Thanksgiving tradition for the digital age, people all over the United States take a break from their helpings of turkey, stuffing, and potatoes, and share what they’re thankful for on their favorite social media platform. Yesterday, a Star Wars actor got in on the action: Mark Hamill paid tribute to Carrie Fisher, his late costar and friend. This past year has been bittersweet for Star Wars fans. Fisher passed away last December shortly after completing her work on The Last Jedi, which debuts this December. 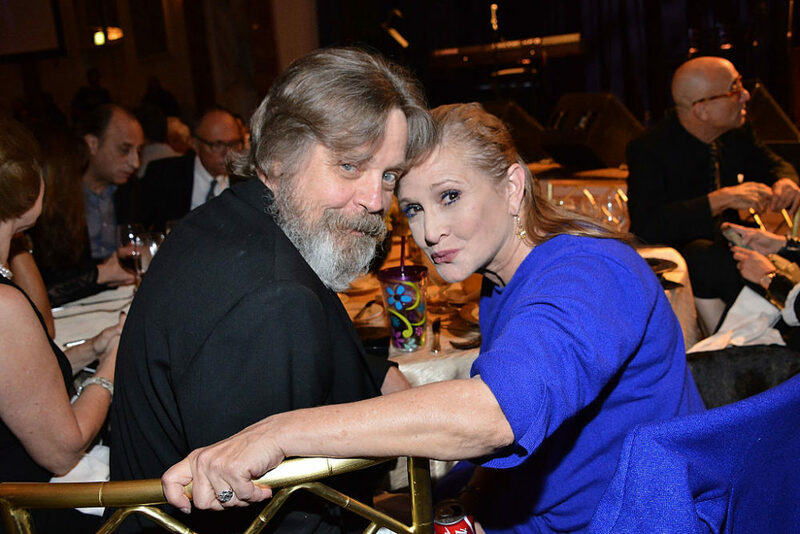 Mark Hamill recently opened up about Luke’s relationship with Leia in The Last Jedi, and also revealed a little bit about his own friendship with Fisher. Hamill didn’t finish his thought, but his love for Fisher is clear as day. The actor posted a promotional photo of the two in character as Luke Skywalker and Leia Organa from The Last Jedi. Seriously, this photo is making us pretty emotional. While Fisher’s General Leia played an important role in The Force Awakens, many fans were disappointed that Hamill’s Luke only appeared during the closing seconds of the film. While trailers for The Last Jedi indicate we’ll be seeing plenty of Luke and Leia, it remains unclear as to whether the siblings will reunite during the film. The Last Jedi director Rian Johnson has remained pretty tight-lipped as to whether the two will appear on-screen together. But he did open up about Luke and Leia’s relationship — which, in many ways, seems to mirror Hamill’s own depiction of his and Fisher’s relationship. Here’s hoping Mark Hamill and Carrie Fisher will appear on-screen together one last time when The Last Jedi hits theaters on December 15th.